What Is the Ribbed Lead on a Power Cord? Wire and cord manufacturers follow national standards and codes for marking wires. The consistent way cords are identified ensures that electricians and other end users know they are wiring their products correctly. Wires that have a ridge along the length of a cord are found on flat cords and represent the neutral wire. 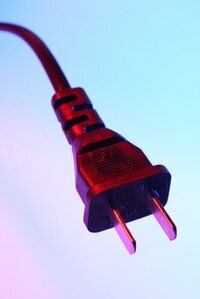 The neutral wire will be connected to a larger, or polarized, prong if there is one on the plug. Wires that are entirely smooth on the outside represent the hot wire. The hot wire will be connected to the smaller prong or terminal on the plug. Flat cords that have three wires will have the ribbed or neutral; the smooth or hot; and also a green wire, which is the ground. The green wire is always in the middle of the hot and neutral wires, however it can’t be seen when there are plugs on the cord.